Kentucky loves ice cream, so much so that we created our state’s very own ice cream trail that you can check out here. Whether it’s scooped on a cone, soft serve in a cup, piled with toppings, or just plain, we’re always in the mood for ice cream in the Bluegrass State. 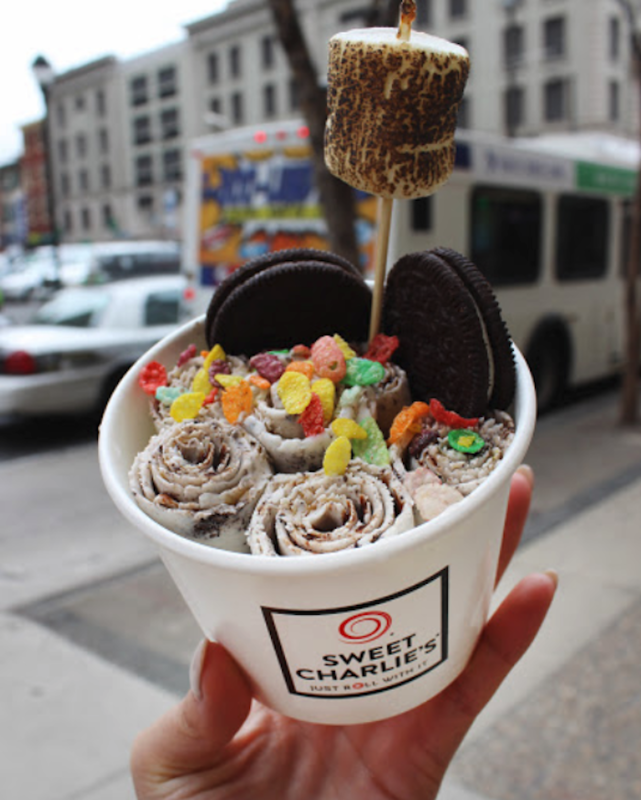 Perhaps you’ve seen an intriguing trend happening in the food world in the form of rolled ice cream. If you’ve ever wanted to try it, you’re in luck! Sweet Charlie’s is now open in Bowling Green and it’s a totally new way to experience Kentucky’s favorite sweet treat. 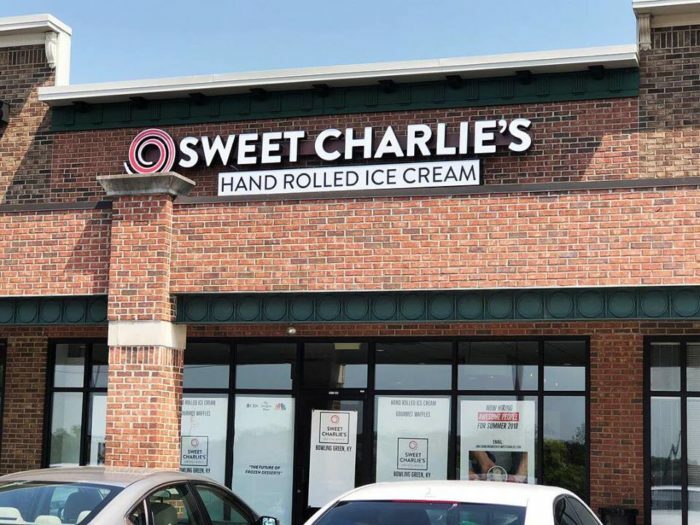 Bowling Green is one lucky city because they are now home to a brand new rolled ice cream shop called Sweet Charlie’s. This sweet idea began with a family in Philadelphia and has grown into several locations nationwide. And now Kentucky gets to join in on the fun. 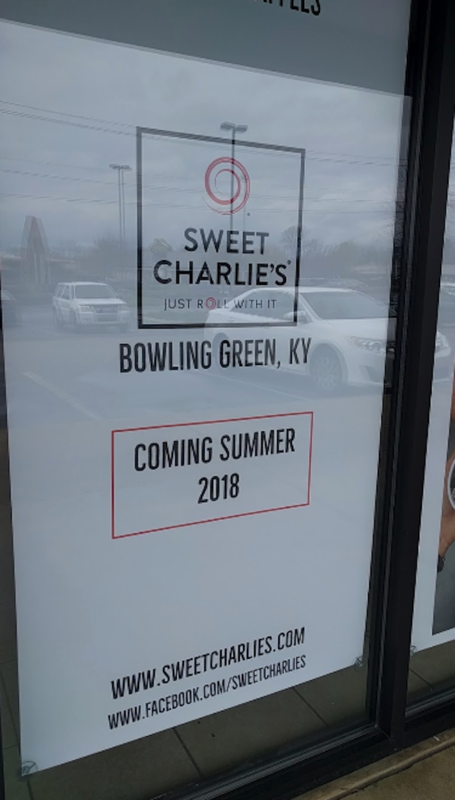 Sweet Charlie’s is now open to customers in Bowling Green on Campbell Lane. Lines have been out the door, but the general consensus is that the unique treats inside are worth the wait. 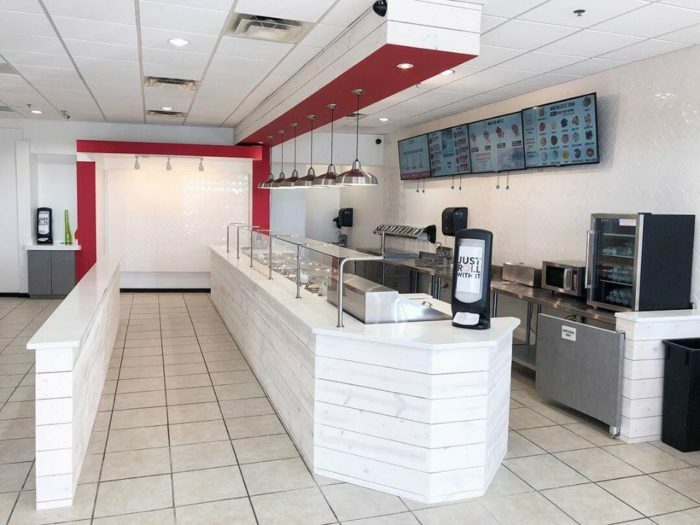 The interior of the ice cream shop has a cool, inviting vibe and is filled with surprises. You can watch the magic happen as you wait in line, and you can smell the sugary goodness as it’s prepared right there before you. 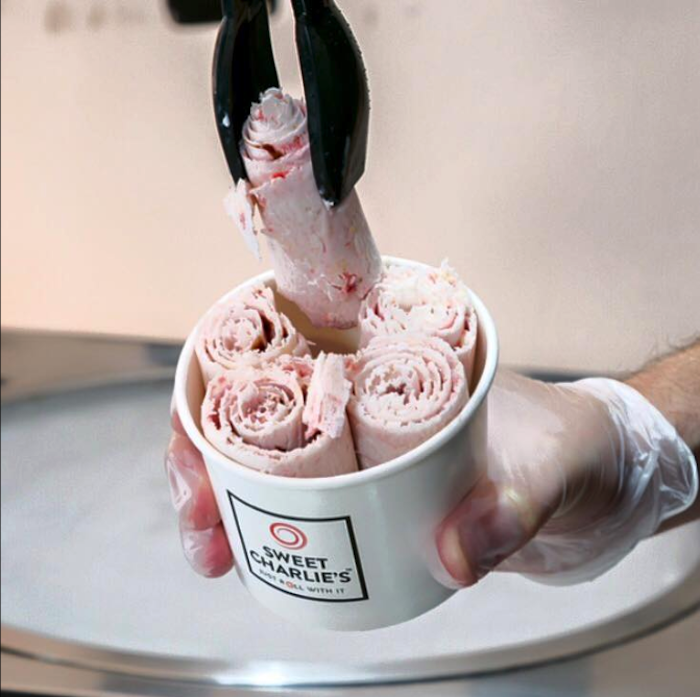 The idea of rolled ice cream is based on a popular method in Thailand, which has been welcomed with open arms in the U.S. The creamy ingredients are poured onto a freezing cold surface, where ice crystals are formed immediately. Because it’s frozen right then and there, there’s no need for preservatives or other things some ice creams include. The result is fresh, creamy ice cream that can then be personalized to your liking. 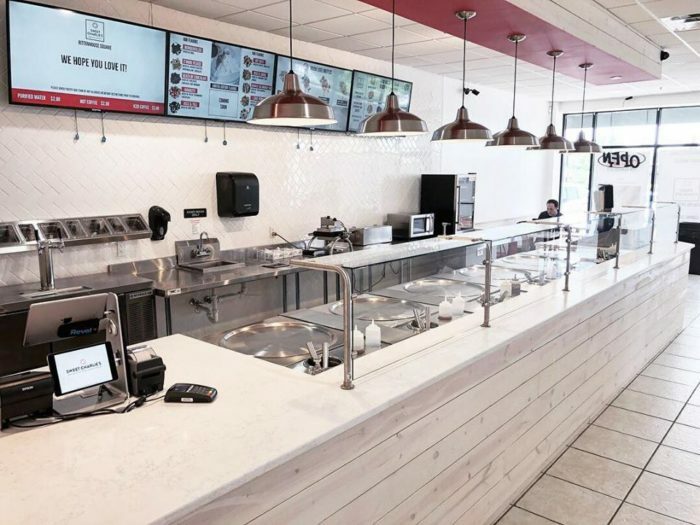 You can choose from a number of toppings, or pick one of their creations, which are displayed on a menu behind the counter. 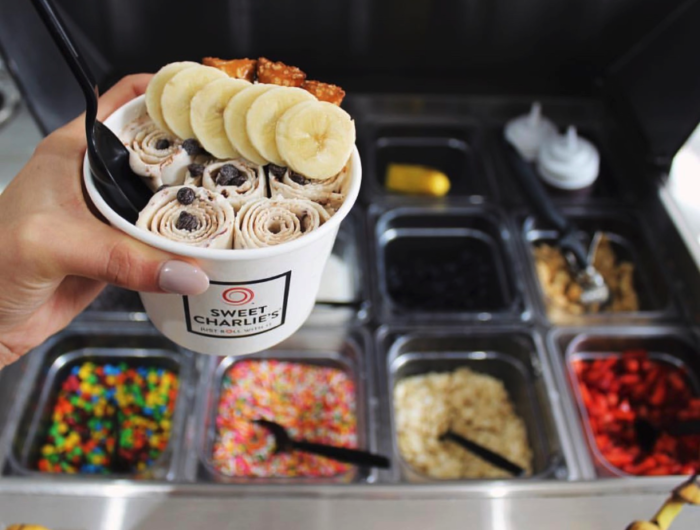 The photo below is a made-to-order creation and gives you an idea of the type of toppings you can include in your dessert. Everything from Fruity Pebbles to toasted marshmallows are on the menu. Their specialties are also worth a try, and one that definitely jumps out is the Tall Charlie, pictured above. 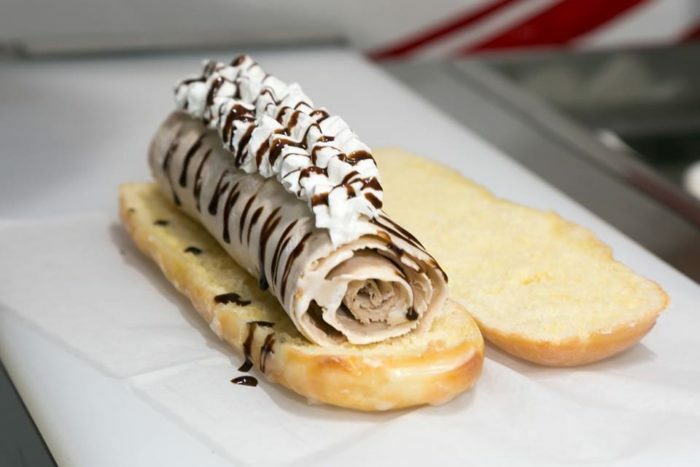 You can pick your favorite ice cream flavor and then a roll of it is placed on a glazed donut and topped with chocolate syrup and whipped cream. It tastes as delicious as it sounds! Sweet Charlie’s is a welcome addition to the ice cream scene in Kentucky, and we especially love its freshness and innovation. If you live in Bowling Green, or are ever in the area, check out this one-of-a-kind sweet treat and be sure to report back and let us know what you think! They are now open Monday – Thursday 12 p.m. to 10 p.m. and Friday – Sunday 12 p.m. to 11 p.m.
There’s always room for dessert and there is always room for another ice cream shop in the state of Kentucky! Are you excited to try this food trend? Or maybe you’ve already had it? Let us know in the comments! Sweet Charlie’s is located at 760 Campbell Lane, Bowling Green, KY 42104. For more information, follow along with them on Facebook here and visit their website here.